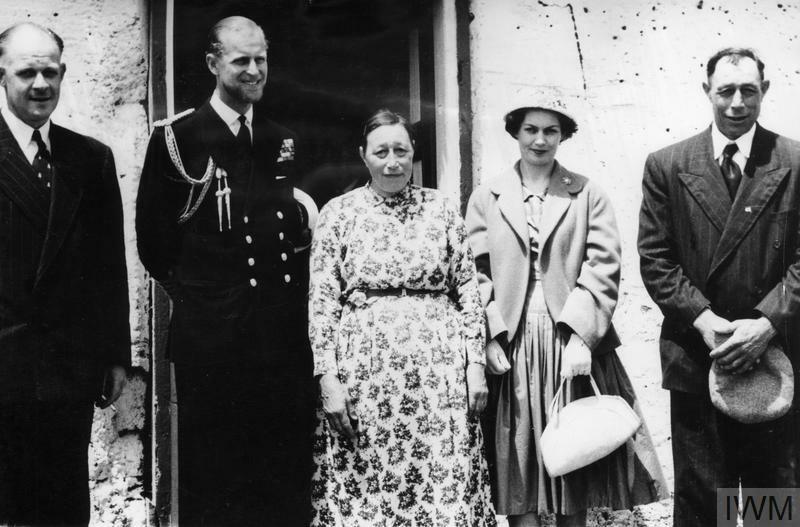 HRH THE DUKE OF EDINBURGH'S ANTARCTIC TOUR. 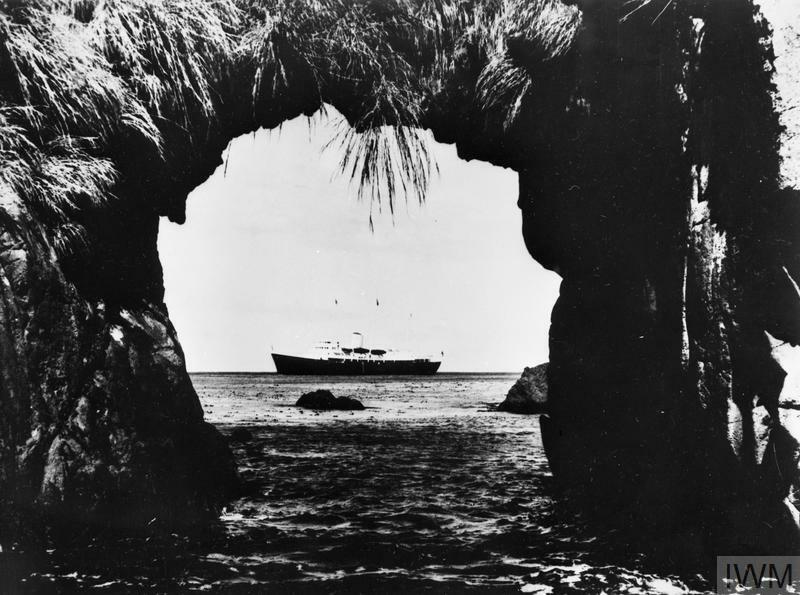 JANUARY 1957, ON BOARD THE ROYAL YACHT BRITANNIA, AND ASHORE ON THE ISLANDS OF THE ATARCTIC REGION. 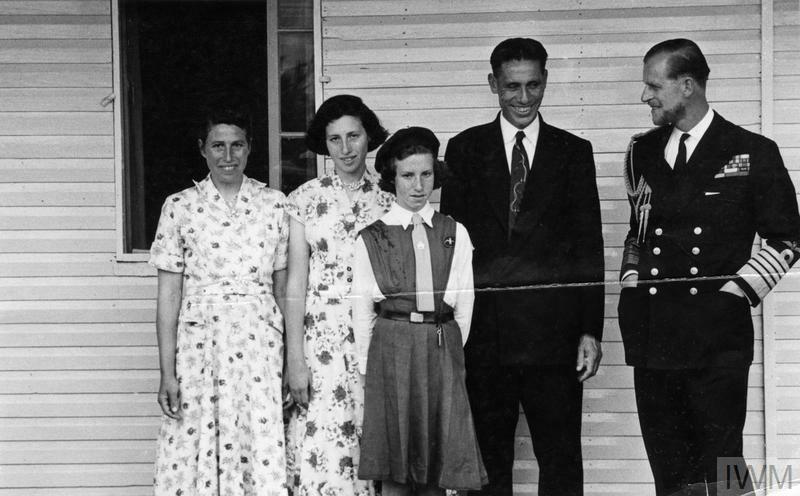 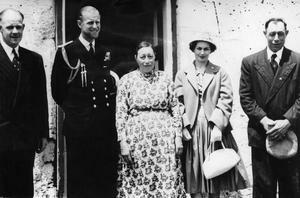 Prince Philip at Tristan da Cunha with, left to right: The Administrator, Mr Forsyth-Thompson; the Head Woman Martha; Mrs Forsyth-Thompson; and the Chief, Willie Repetto.